Last Wednesday, I flew to Orlando, Florida for my second Photoshop World. Just like the FFRF National Conventions, I am going to aim to make this an annual event for myself. The flight into Orlando experience some short but fierce turbulence. It didn’t bother me; I was more intrigued by my fellow passengers’ reactions. For the first time in my life, I saw real fear on someone’s face. This poor woman across the aisle was terrified and it showed in way that I had never seen before. Behind my seat, a young girl kept asking, “Are we okay?” The plane was already on approach, so we had no choice but to go through it. Quite the experience. Of course, PSW was an even better experience! Scott Kelby, the entire KelbyOne staff and all the amazing instructors really do their utmost to make this a great conference for creative people. Everybody is friendly and helpful. Several people from the KelbyOne message forums attended. We met up often in the Community Lounge area to relax and chat and to help other attendees. 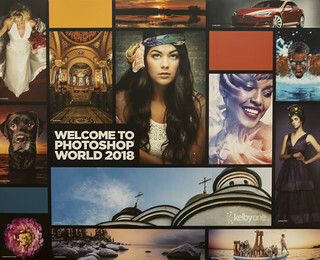 Here is the link to my Photoshop World 2018 Flickr album. Oddly, I did not take that many photos this time. But there are a few shots that I am proud of. KelbyOne member, Melanie Kern-Favilla attended to show off her floral photography technique. She delivered a KelbyOne class on her style too. 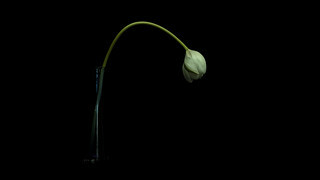 With Melanie’s suggestions, I photographed this still life lily with natural light. It is hard to believe that there are massive floor to ceiling windows behind me with the Florida afternoon sun glaring in. But that’s Melanie’s magic at work! May was a sparse month for blog posts. I’m aiming to change that this month.